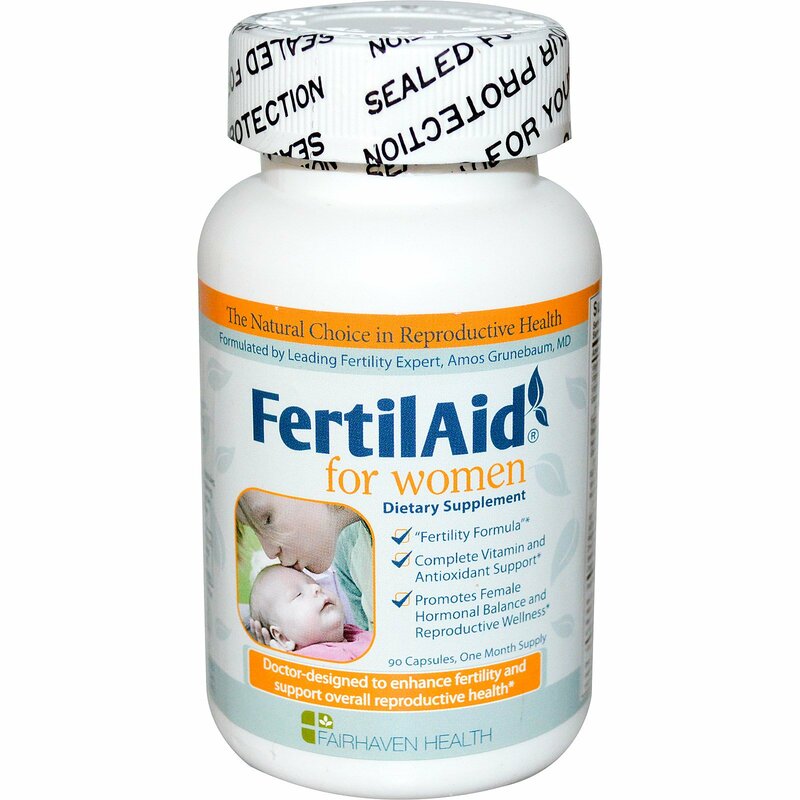 Formulated by leading fertility expert, Amos Grunebaum, MD, FertilAid for Women synergistically combines key fertility-enhancing ingredients with a "Just Right" formula of folic acid, antioxidants, and essential vitamins and minerals. FertilAid for Women was formulated on the basis of established scientific literature to help optimize fertility safely and naturally as part of a healthy lifestyle. With an effective herbal formula that includes chasteberry (vitex agnus castus), FertilAid for Women is designed to support hormonal balance and overall reproductive wellness. As a dietary supplement, take 3 capsules daily. Do not take with Clomid or fertility drugs. Begin taking immediately and take continuously throughout your cycle. 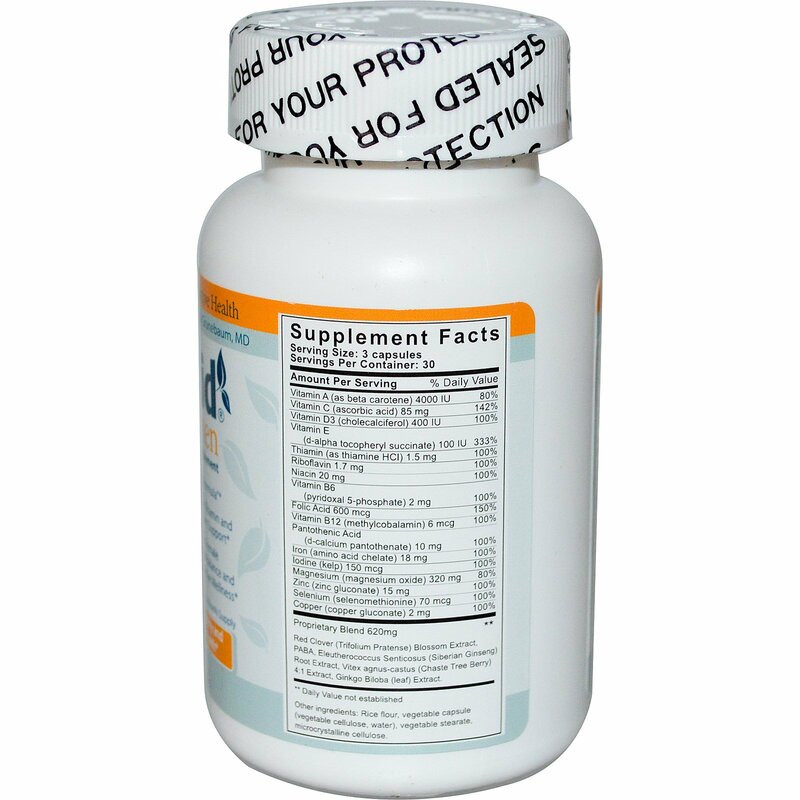 Discontinue use once pregnancy has been confirmed by urine or blood test. Rice, flour, vegetable capsule (vegetable cellulose, water), vegetable stearate, microcrystalline cellulose. If you have a pre-existing medical condition, consult a doctor before use. If tamper seal is broken or missing, do not use.